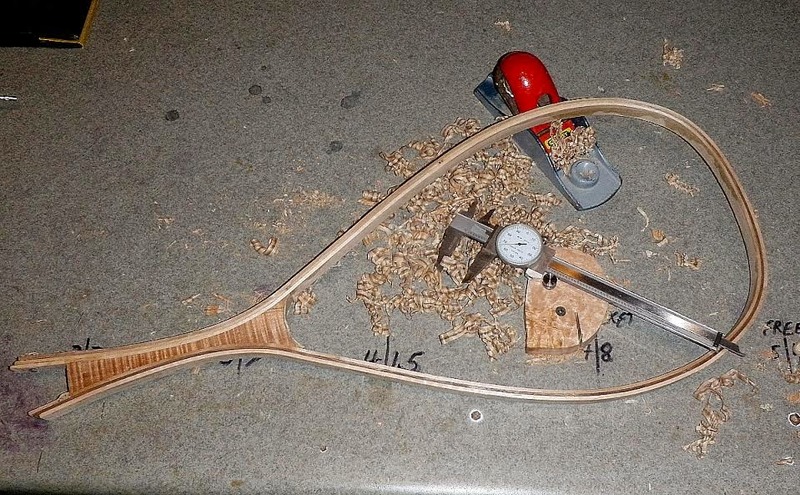 The landing net build continues with the second installment from John Wood of J Wood Fly Fishing. The wooden net literally takes shape in this post and you also get a sense for the precision work that it takes to get this right. As I did yesterday, I would like to thank John Wood for taking the time to photograph his process and providing the narrative that is included as well. After the adhesives have cured all the clamps and the clamping caul are carefully removed. The removal of the caul is done very carefully to make sure there is no damage to the surface of the outer lamination strip. A good mold release ensures that this step goes well. With the net still on the gluing jig excess adhesive squeeze out is removed then a small hand plane is used to even the surfaces. 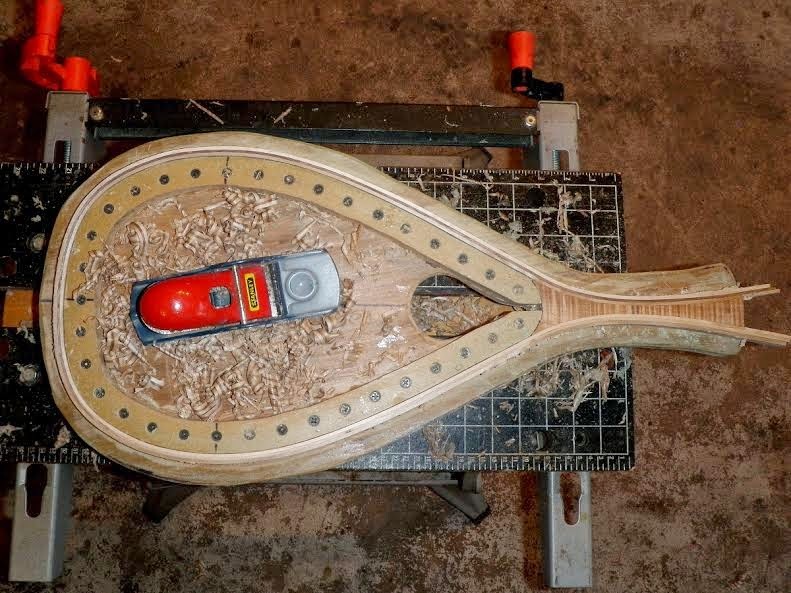 The plane must be super sharp and set to the finest depth to avoid tearing the opposing grains. Both sides of the net frame are evened by turning the net over and placing it back onto the jig. 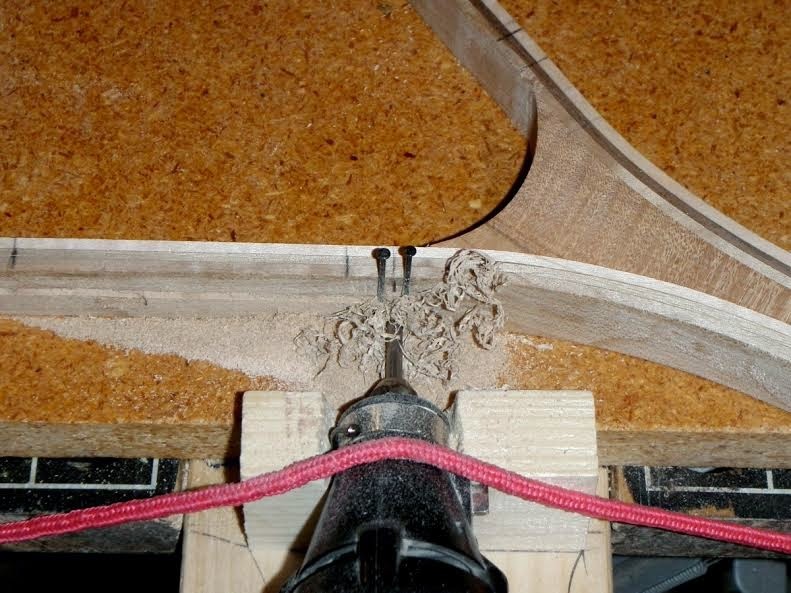 Once the frame edges are evened the thickness is adjusted slowly using the same hand plane. Dial calipers are used to check and recheck the thickness as the frame is shaved to a predetermined thickness for the particular model. This is a very slow and relaxing process. Using a cloth tailor’s tape measure the location of the bag lace holes are marked onto the hoop. 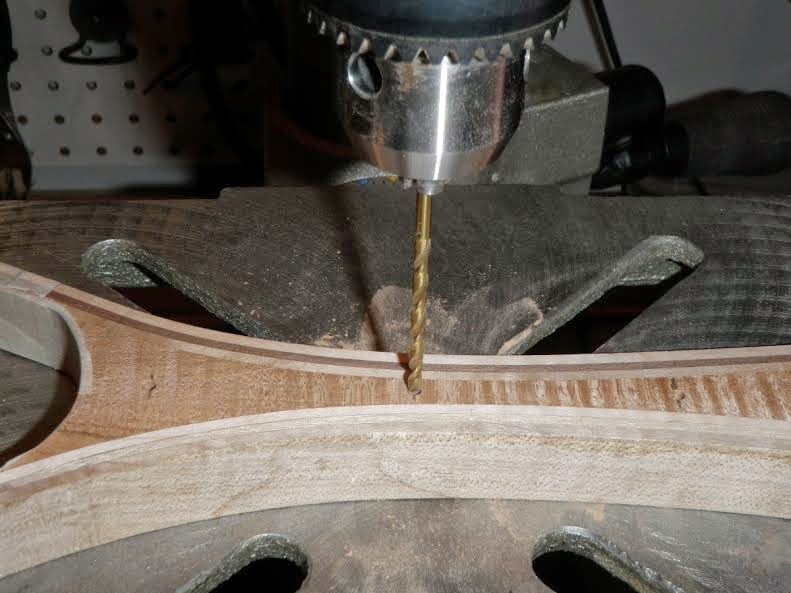 Then a special jig is used to cut the lace groove along the surface of the hoop. The locations are then marked for the measure marks that will be installed into the handle. Using a drill press the holes that will accept the dowel are drilled into the handle. The lace holes are drilled into the hoop at this time also. Specially made dowels are turned of a contrasting colored wood species for each net frame. 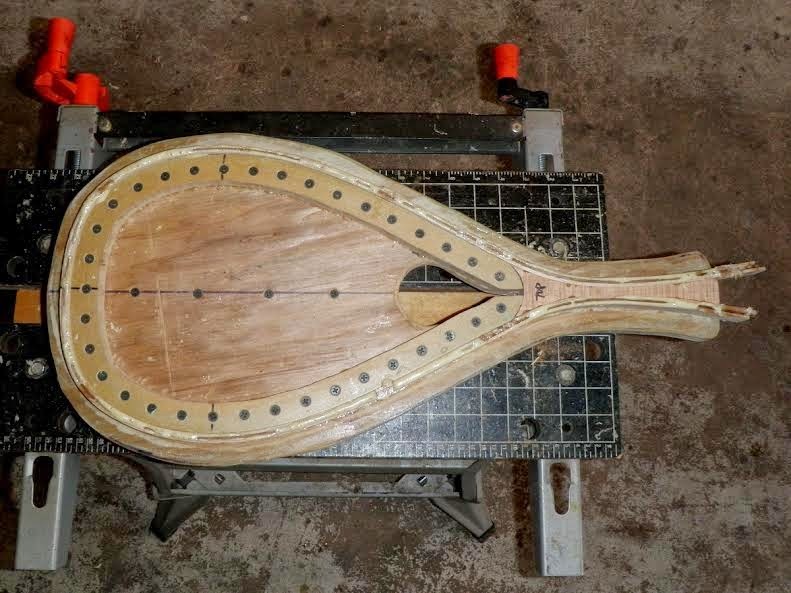 They are scored to length and inserted into the holes using waterproof wood glue. 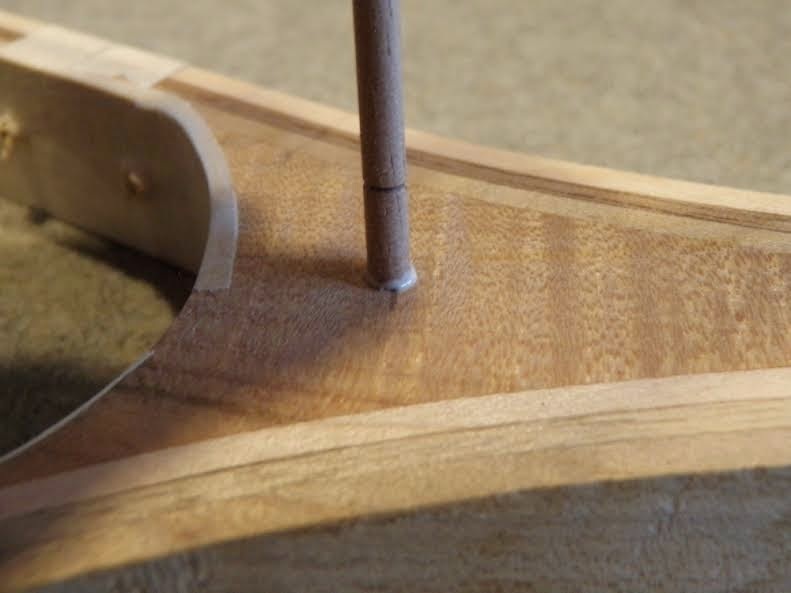 The dowel is snapped at the score then driven fully into the handle. Check out the J Wood Fly Fishing website for more information. Follow the Facebook page for the latest shop news and the occasional giveaway as well. Really coming together! Look forward to the finishing stages.